How do driverless trains work? By 2050, the number of city dwellers will be around 6.4 billion people, almost double the number today, and means that about 70 percent of the world’s population will then be living in cities. The capacities of mass transit systems can rarely be expanded to the extent actually necessary in that case. In order to make more efficient use of existing infrastructure, existing metro lines are being modernized and increasingly equipped with automatic train control and safety systems. On an automated line, trains can travel at shorter intervals one after another. The capacity of a metro line can therefore be increased by up to 50 %. Short intervals between each train, called headways, of 80 to 90 seconds are feasible. If passenger volume is high, additional trains can be deployed independently of the regular timetable. It’s possible that they could be automatically sent into operation straight from the depot at the push of a button. Automatically controlled vehicles consume less energy thanks to optimized acceleration, traction and braking processes. Depending on the degree of automation, energy consumption can be cut by as much as 30 %. At the same time, the punctuality of the trains is improved. On the basis of the line data, the automated system calculates exactly how and at which point a train has to be accelerated and braked for it to arrive punctually at the next station. 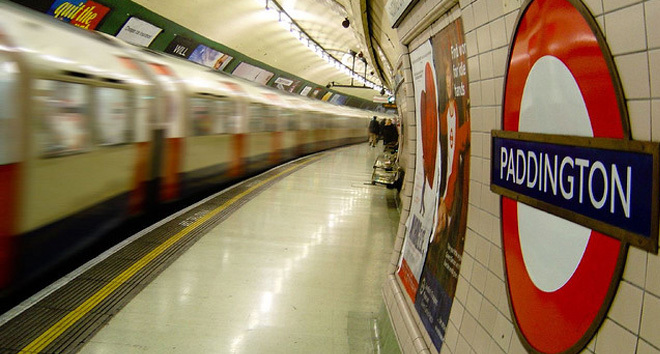 Former train personnel can now act as service personnel in the train or on the platforms, look after passengers, and provide information and a greater sense of security. The various grades of automation range from driver-assisting functions for control of the brakes and automatic speed control of a train through automatic and precise stopping of a train in stations, opening and closing a train’s doors to possible remote control and fully automatic metro operation without drivers. In the driver-controlled mode, the metro train is driven without assistance systems. The driver drives the metro train on sight, while stationary light signals control railway operation. In partly automated mode, the driver still drives and brakes the metro train manually. A train protection system continuously monitors its speed, however. Besides this, supporting information such as current movement orders are displayed to the driver in the driver’s cab. In semi-automated mode, although the driver starts the metro train manually, the automatic driving system takes over precision control of the movement between two stations on its own and also automatic precision stopping of the train at the platforms and opening of the doors. In driverless mode, driving is controlled and monitored automatically, without human assistance. A train attendant can intervene in emergencies. The automatic driving system takes care of the departure, the movement between two stations, and the automatic and precision stopping of the train and opening of the doors. If required, the door is automatically opened again. When passenger volume is high, additional trains can be automatically sent into operation straight from the depot at the push of a button. In unattended mode, train operation is also controlled and monitored automatically. However, there is neither a driver nor a train attendant on board. Additionally automated functions include, for example, the coupling and uncoupling of trains, stabling of trains, and extended remote control and remote repair options. How does fully automatic control of a train work? A trackside computer tracks all trains in the assigned section of line and calculates the movement of each train. 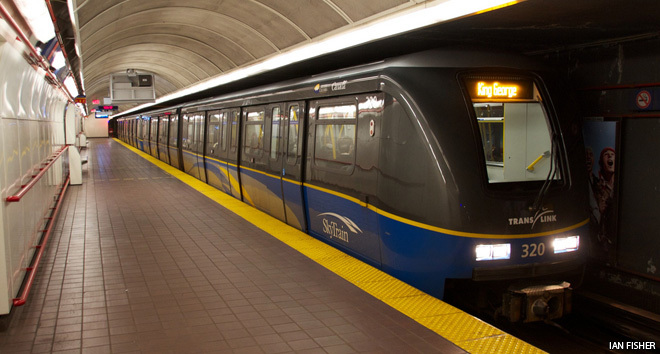 As a result, trains are routed continuously and can then run at shorter headways than when driven manually by a driver. In fully automated mode, metro trains are driven by the automatic train control (ATC) in combination with control and protection of the line by interlockings. To this end, the trackside computers are constantly exchanging data with the computers of the higher-level system in the control center and the computers in the train by radio. 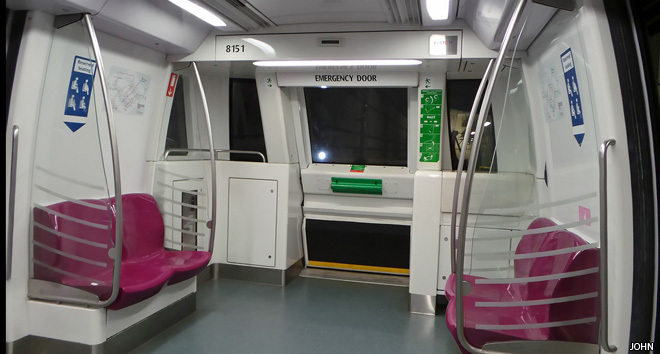 On board the train, the Automatic Train Operation (ATO) system replaces the metro driver and controls the train’s speed. The ATO computer is monitored and, if necessary, corrected by the Automatic Train Protection (ATP) system. Many metro systems around the world are already driverless, especially in Asia and in Europe. 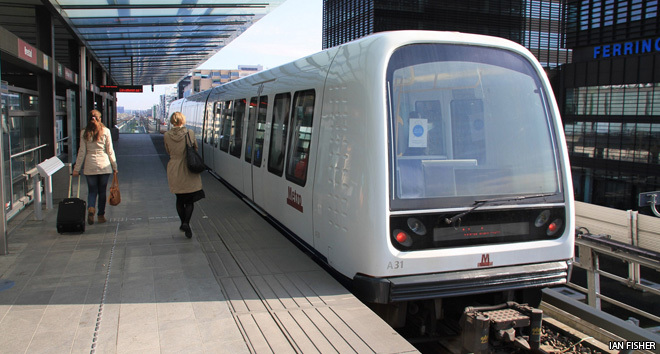 In London, the Docklands Light Railway (DLR) and some lines on the London Underground already have “driverless” trains in the sense that the term “train driver” is usually meant. The DLR, Victoria, Central and Jubilee lines are all operated by similar systems as the ones mentioned above – the Victoria partially so since 1968. 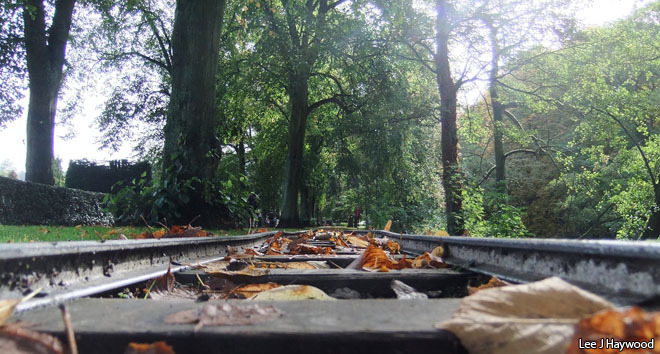 Why are ‘leaves on the line’ such a problem for trains?